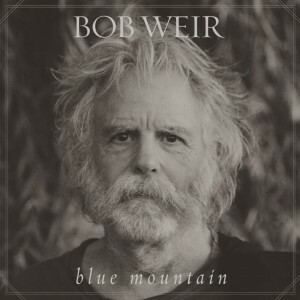 It’s hard to believe that a road dog like Bob Weir hasn’t put out an album of completely original work for over 30 years – but thus is the nature of being a road dog like Bob Weir. Fresh off the road with Dead & Company, Weir is embarking on a new solo adventure. The album’s called Blue Mountain, and we’re extremely excited to present some of it as part of this week’s “New Tracks on the Trail” program. Described as an homage to Bob’s love of the cowboy music of his youth (he spent some time working in Wyoming when he was 15), it took three years for the album to evolve into full fruition. It will be released Sept. 30. -Todd Snider: Tracks from his new album, Eastside Bulldog. Featuring improvised lyrics the album shares the lore of Snider’s hard-partying alter ego, Elmo Buzz: “… Songs about East Nashville, chicks, cars, fighting, partying and Bocephus – and that’s it,” Snider explained. Eastside Bulldog features contributions from Elizabeth Cook, Jason Isbell, Amanda Shires, Chris Robinson, Hank Williams III and Shooter Jennings. It’s set for Oct. 7 release. 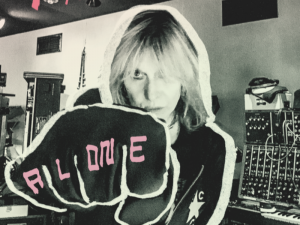 -The Pretenders: Cuts from the band’s first new album in eight years, Alone. Speaking of alone – singer/guitarist Chrissie Hynde is the only original member of the band to appear on the record. In fact, this version of the band represents the 12th iteration of The Pretenders. ll precede a five-week U.S. tour with Stevie Nicks. Check out the Pitchfork review HERE. -The Avett Brothers: Tracks from the North Carolina folk rock band’s ninth full-length album, True Sadness. Preview the album and read a critical review HERE. -Hamish Anderson: Work from the Australian blues artist’s long-anticipated album, Trouble. Gary Clark Jr singled out Anderson as one of the under-30 guitarists you should be watching. Rick Jamm of JamSphere described his guitar playing as “crackerjack sharp”. Check out the official music video for the album’s first single HERE. Trouble is due Oct. 21. There ya have it – another Tuesday, another nice selection of new tracks in which to divulge. Thanks as usual to Rockin’ Rudy’s for sponsoring New Tracks on the Trail!